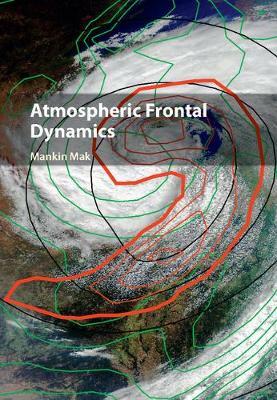 Atmospheric Frontal Dynamics is the first book to present a self-contained and comprehensive coverage of the ubiquitous surface and upper-level fronts, which are boundaries separating two air masses of different densities. Atmospheric fronts are a product of interaction between planetary, synoptic, meso and small scales of motions. They are uniquely important in weather forecasting since many meteorological phenomena are closely associated with them. The discussions of the multifaceted aspects of basic frontal dynamics are based on illustrative analyses of a hierarchy of semi-geostrophic frontal models performed in physical, as opposed to geostrophic, coordinates. Such analyses enable us to systematically and quantitatively delineate the physical nature of different types of fronts in a relatively straightforward manner. They are further supplemented by two illustrative analyses using a state-of-the-art model. 'Learning-by-doing' is the guiding principle behind the book, making it an asset to both students and instructors in atmospheric science and meteorology.